We live in an area with a high water table, so the underground shelter is out of the question here. But we also live with frequent tornado warnings (we haven’t had any on our property, but lots of them within 20 miles). Would this plan be safe enough for us, or should we berm it with earth on at least one side? Properly built, it would be one of the safest structures in the world. And yes, you could add a little berming around the sides. I like to go about 30″. Would this structure work in freezing, very cold climates in the Northeast? Could it be bermed into a hillside if there is little flood risk? Also, do you have a smaller version of it somewhere? (shed-sized, for one-two people to stay in in an emergency?). Love it! Where /What can I do to get the plans to this ?? Sorry for the repeat—-I just left this question on the “Disaster Resistant Catenary Dome” page, but this design is more suitable for a tornado shelter. Yet I still have the same question: Would a tornado be able to blow out the windows in this shelter? Or would the arched protectors break up the suction of the vortex of wind enough to be protective? Has this design been tested in tornados? Add strong shutters and you should be fine. 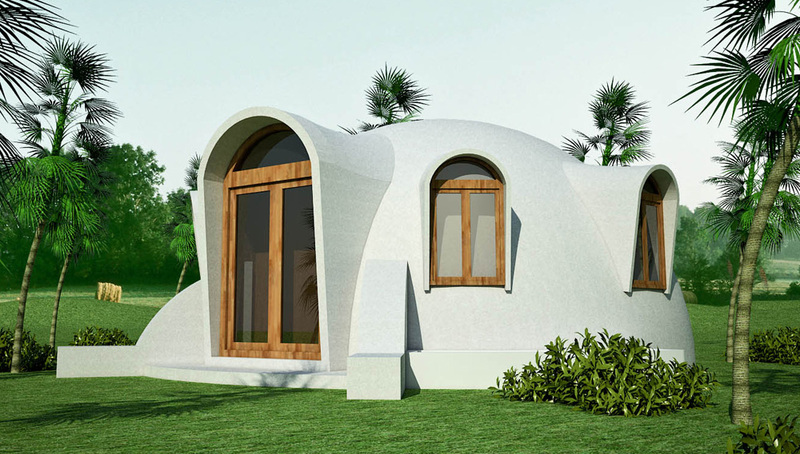 hi..we really like the design of this dome and would like to know more details and build one in Arizona, How do we get plans and what is your cost estimate to build? You can order plans through Dream Green Homes.com. The Hemispheric dome is not listed because they only show the most popular designs. 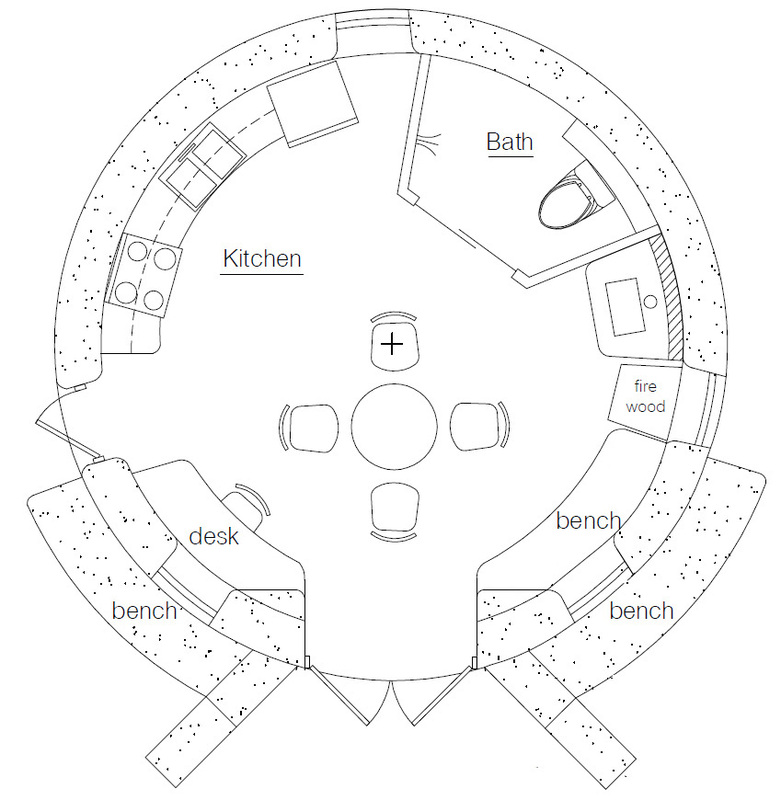 The cost is $300 for PDF plans that include my earthbag building guide. Place your order (select any plan) and then write Hemispheric dome in the comments section and I’ll make sure you get the right plan).